CTP3 has no current links. 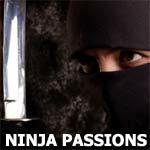 Looking to meet Someone Who doesn't like ninjas? They're awesome! I know there is no info on me here but if you want to know more my main profile is on gaming passions.